The Australian Competition and Consumer Commission (ACCC) is calling on businesses to urgently review how they verify and pay accounts and invoices as reports of business email compromise (BEC) scams mount. 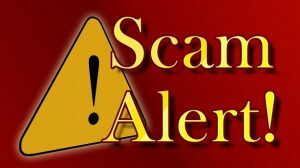 Reports of the scam to the ACCC’s Scamwatch have grown by a third this year. BEC scams occur when a hacker gains access to a business’s email accounts, or ‘spoof’ a business’s email so their emails appear to come from the company. The hacker then sends emails to customers claiming that the business’s banking details have changed and that future invoices should be paid to a new account. These emails look legitimate as they come from one of a business’s official email accounts. Payments then start to flow into the hacker’s account. In other variations of the scam, the hacker will send an email internally to a business’s accounts team, pretending to be the chief executive, asking for funds to be urgently transferred to an off-shore account. Hackers can also request salary or rental payments be directed to a new account. “It’s a scam that targets all kinds of businesses, including charities and local sporting clubs. 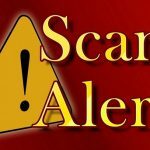 There is a misconception these scams target just small business, however the largest amount of reports and losses came from medium sized businesses, including one that lost more than AUD 300,000,” Rickard added. Businesses have reported losses to these scams totalling AUD 2.8 million to Scamwatch in 2018. However, this represents only a fraction of total losses to this variety of scam across Australia. BEC scams cause businesses significant financial harm, accounting for 63% of all business losses reported to Scamwatch. The average loss is nearly AUD 30,000. “Effective management procedures can go a long way towards preventing scams, so all businesses should firstly be aware these scams exist and that their staff know about them too,” Rickard said. “They should consider a multi-person approval process for transactions over a certain dollar threshold and keep their IT security up-to-date with anti-virus and anti-spyware software and a good firewall. “Businesses should also check directly with their supplier if they notice a change in account details. It’s vital businesses don’t do this just by return email or using other contact details provided. Find older communications to ensure you have the right contact details or otherwise independently source them, so they can be sure they’re not contacting the scammer,” Rickard said.